I've been an AIR member for a long time and I found this most recent newsletter to be especially useful. See below for some editing tips and gigs, and become a member if audio production is your thing! And just a reminder, applications for their Better Edit Fellowship are due this Friday. Editor’s Note: AIR is looking for candidates interested in becoming better editors through our Better Edit Fellowship—brought to you in partnership with PRNDI, the Public Radio News Directors Incorporated. Read on for contributing writer Emily Boghossian’s best picks for learning how to work the editing game, then apply to Better Edit! The deadline to submit is this Friday, July 14, at 5 p.m. PT. Listen to Lin-Manuel Miranda’s first cut of “My Shot,” and you’ll hear it in the first few bars. Editing matters. Any audio producer who has gone back and forth with a good editor knows that “most things that are great get great through editing,” (Ira Glass, Longform). But not every producer has access to a strong editor. Lately, the “good editor” is becoming more and more of a unicorn—high in demand and, according to NPR Training’s Alison MacAdam, low in supply. And while we need to correct the industry-wide shortage by building clearer, more inclusive pipelines for editors, maybe this dearth is an opportunity for producers to sharpen their knives. If great storytelling = great editing, we should all strive to be better editors. So, this week we are listening to the editors in our lives. Here's a list of resources guaranteed to grow your toolkit. Now, go forth and slash. Before you pack your TASCAM and hit the road, ask yourself: What introduction do you hear in your head? How could this story unfold? Who is the main character? Action. Reflection. Stakes. S-Town's Brian Reed breaks down good storytelling by relaying the most boring story he can think of. Additional reading from the audio canon: Ira Glass explains storytelling in four parts. Structuring a longer-form documentary? Find macro and mini story structures. Alex Lewis and Yowei Shaw’s first-ever historical doc yields all kinds of useful tips. Bonus: Insights on mixing via Jeff Towne. 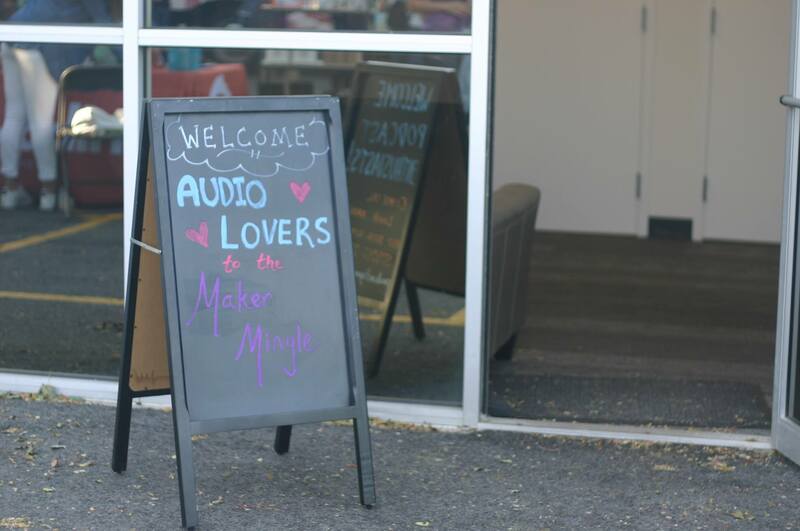 AIR and the fine folks at Podcast Garage are kicking off July with our second Maker Mingle of the season. We're gathering in Allston, Massachusetts this Wednesday, July 12, from 6:30 p.m. to 8:00 p.m. to trade stories, share ideas, and make new friends. Swing by if you're in the neighborhood! This time we want you to come with an answer to the question: What was the first podcast you listened to or loved? in audio and media craft. Previous Postnew workshop from @writingpadus starts next Sunday, July 16Next PostAugust Podcast School @UnionDocs, Aug 21-25, just a few spots left!